Ever since Sam Wilson took on the mantle of Captain America, his former superhero alter ego of the Falcon has lain dormant. That is, until next week, when The Falcon returns… as Joaquin Torres, a man who is literally part-falcon. 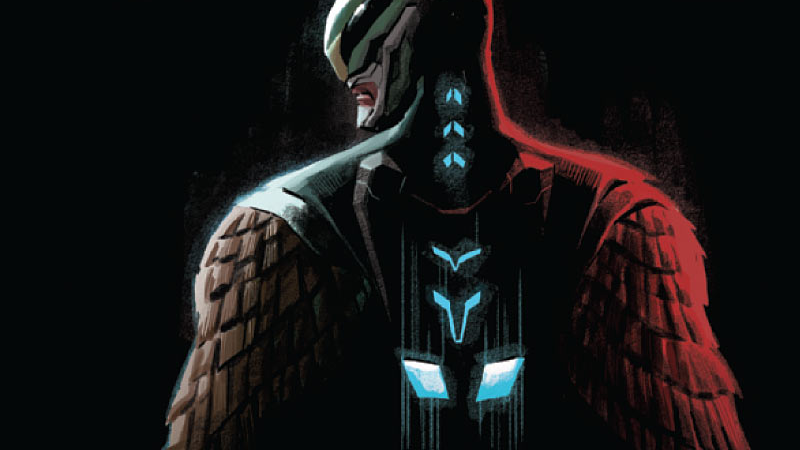 Torres has played a role throughout Nick Spencer and Daniel Acuña’s Sam Wilson: Captain America series since it relaunched as part of Marvel’s “All-New, All-Different” lineup, a Latin-American who attempted to help people emigrate to the U.S. before being captured by a gang of racist thugs that people got very angry at Sam for beating up, because America or something. Anyway, long story short, said thugs captured Joaquin during the fight, got him experimented on by Marvel’s resident mad scientist Karl Malus (subtle), and was transformed into a genetically modified mashup of human and Falcon DNA. No wait, sorry, vampiric Falcon DNA, because comic boooooooooks. Ever since, Sam and his partner-in-crime Misty Knight have been trying to look after Joaquin while he deals with the fact that he now has wings and claws for hands and regenerative healing abilities. It’s been obvious that Joaquin would follow in Sam’s footsteps ever since he became a vampire-bird-man-person, but still, it’s interesting to see him come into the role. Even more interesting is that seems like an acknowledgement that Sam will be staying on as Captain America in the comics for the foreseeable future. With it being Cap’s 75th anniversary year,and with Captain America: Civil War on the way, many expected that at some point Steve Rogers—currently drained of super serum and an old man, because, say it with me, comic booooooks—would return to the role. But if we’re getting a new Falcon now, it seems like Sam will wield the star-spangled-shield for a good while yet.